Let’s now take a close look at the overview of the company and its founders. 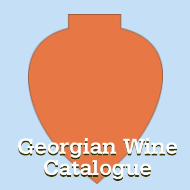 As seen in recent years, the number of small-scale, boutique and family-owned wine producers has been growing in Georgia and Lukasi company is one of them. 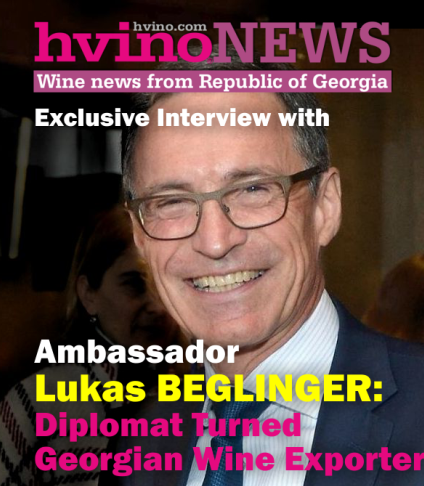 Before entering the Georgian market as a wine producing company last year, they had been providing different private customers with their wines for several years which also paved the way to their success. The Lukasi company that focuses on producing premium wines, was founded by Mamuka Dolidze. 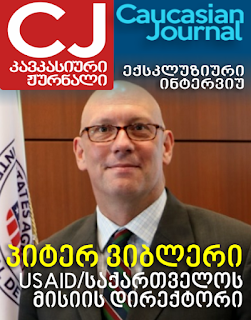 His wife, Keti Gersamia, is in charge of the company’s management. The motto of the company is to produce small quantity and high quality wines. It's been several years since the couple owns the vineyards in the wine production zone of Kakheti region and makes wine. However, until last year, it has never been their primary occupation, but a hobby. They used to bottle their wine without a label for their family and a circle of close friends and acquaintances. As the quantity of their crops increased last year, they tried to sell their wine. Their efforts were rewarded with a great success: the wine was greatly accepted and praised. Then the couple decided to make an investment in the winemaking and gradually expanded their business. "We aim to have high quality, not mass-produced wines. 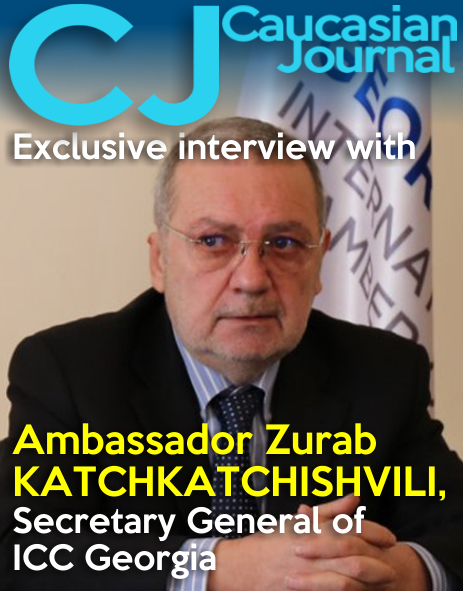 We’d rather produce small quantities of very good wine," said Keti Gersamia. 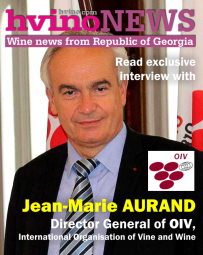 Until now, the company has been providing the Georgian market with three kinds of European style wines: Tsinandali, Qisi, and Saperavi. 2007 vintage of Tsinandali was their first offspring which was bottled for their own family and soon was followed by Qisi and Saperavi wines. All three wines have received equal investments and the producers’ responsibilities for them are equal as well. Indeed, they favor Saperavi the most. 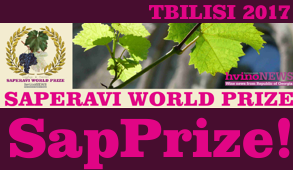 The Saperavi of 2011 vintage was highly acclaimed by the wine specialists and was recognized with a gold medal by the international judges at last year’s WineExpo. This is how Lukasi Saperavi wine is described in "Georgian Wine Guide," the book written by Malkhaz Kharbedia: "This wine is made of the grapes grown in the famous Papari Fields. After the fermentation process was finished, it was stored and aged in the oak barrels, thus, it is perfumed with the oak aroma which blends harmoniously with the inherent aromas of this grape variety. It is a youthful, rasberry red colored wine with pronounced blackcurrants, vanilla and oak on the nose, quite robust with very long finish.” The wine has been sent to several competitions and has consistently garnered praise from wine specialists and lovers. “For us, quality matters the most and we make serious investments to achieve high quality in our products: we use French oak barrels to age our wines and have top-notch winemaking supplies and equipment. For example, this year, we’ve purchased one of the Bucher equipments that no other wine company owns in Georgia. We have also changed the bottle design as we try to reach high quality in every aspect," said Keti Gersamia. The design of a bottle is truly elegant and the labels of each different wine have been created by the artist, Mamuka Tsetskhladze. Even though wine packaging is very important to them, still, the company representatives realize the consumers want high quality wine in the bottles they buy, so they make sure everything speaks well for their wine. They use the crops of their vineyards most of the time, however, in case of the low-yielding harvest, they also purchase grapes of other vineyards. In 2012, they didn't bottle Qisi wine at all as the harvest wasn’t of a proper quality, so they bottled only Saperavi. 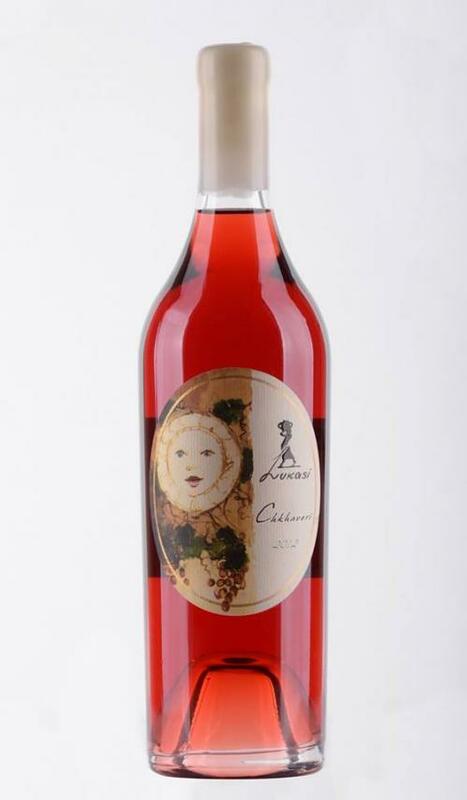 This year Chkhaveri Rosé has become a part of the company’s excellent wine collection. To show them at their best possible quality, they have made and released only 300 bottles. A professional winemaker, Zurab Goletiani, is the one who ensures the quality of Lukasi wines. Currently, the company doesn’t have its own winery, they rent it while using their own equipment. Their future plans include building the company cellar along with a small hotel, where the visitors will be able to taste their wines, visit their vineyards and have a place to rest. One of the problems the small and emerging wine companies face on the Georgian market is that the bars and restaurants are "occupied" by the large companies and established labels and they make it hard for the “small players” to get into the on-trade. Still, there are several wine shops, for example, Vinotheca, and restaurants where you can find their products. The affluent, high income customers, who love and appreciate wine are target audiences for the company representatives. The sales of their wines are pretty high as well, since the quality wines always attract this type of consumers. "All wines are sold well, but our signiture Saperavi can even compete with any European wine," said Keti Gersamia. While traveling abroad and visiting some interesting restaurants there, the couple always takes their wines with them to offer them to the local restaurant owners and consumers. It turns out that the Europeans favor red wines more than whites, so they want take this fact into consideration and develop their winemaking plans accordingly. As to advertising, the couple considers the salon evenings to be a more suitable form of promoting their wines. Thus, they serve small groups with their wine mostly during tasting events or specialty dinners in restaurants. These beautiful evenings are complemented nicely by the beautiful wines of Lukasi, the taste and aromas of which linger long in the minds of the guests. The Chkhaveri Rosé presentation was one of these evenings. We hope many more of them are yet to come.